St Albans School is bringing world class rugby expertise and technology to its pupils, with the appointment of Kyran Bracken MBE as Elite Sport Development Manager and 1st XV Head Coach and its partnership with Hudl, the leading sports analysis software. As former captain of Saracens, a member of the winning England World Cup team and a tourist with the British Lions, Bracken will bring an exceptional sporting pedigree to the School. 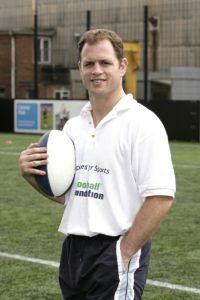 Pupils will benefit from his rugby and sporting knowledge, across technique, performance and approach to rugby and other sports, complementing the international playing and coaching experience already on the School’s staff including Martin Langston (Head of Hockey and Director of Sport), Mark Ilott (Head of Cricket) and George Harrison MBE (Athletics Coach). Additionally, St Albans School has partnered with Hudl, the leading video analysis tool that is revolutionising the way that both coaches and athletes prepare for and stay ahead of the competition. The School’s partnership with Hudl will enable coaches and pupils to take footage filmed during training and matches and using Hudl’s software, share and review performance and techniques. Pupils will be able to curate clips of their performance and create mini showreels and coaches will have a new resource to address strategy and tactics.